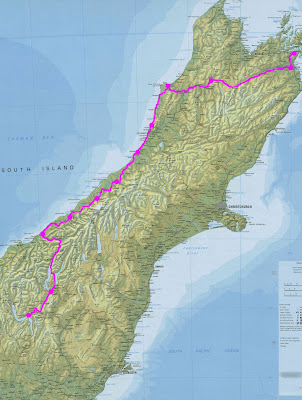 The route from Queenstown to Picton, via the South Island West Coast is beautiful! The lakes, passes, mountains and coastline are almost second to none. The subtropical rainforest in the south is lush and then the Nikau Palms further north are almost tropical. The Haast Pass is best experienced with some rain - which is likely! The Fox and Franz Joseph Glaciers are an absolute must see. Take your time and enjoy this ride.